First of all, I LIVE for the LF Dallas semi-annual sale. It happens twice a year, at the end of Summer and at the end of Winter. LF is easily one of my favorite brick & mortar stores in Dallas. It brings a west-coast, grunge vibe that is pretty hard to find in this city. I will admit, its pretty pricey — especially when you consider that they sell trendy, distressed and destructed clothing. BUT when that sale hits? You better believe I'm in there weekly to stock up on one-of-a-kind pieces. THIS OUTFIT — This re-purposed t-shirt spoke to me. It's been cropped and distressed with lace-up details and it has a picture of a wolf on it. I love wolves because... Game of Thrones. So, yeah, that needed to come home with me. 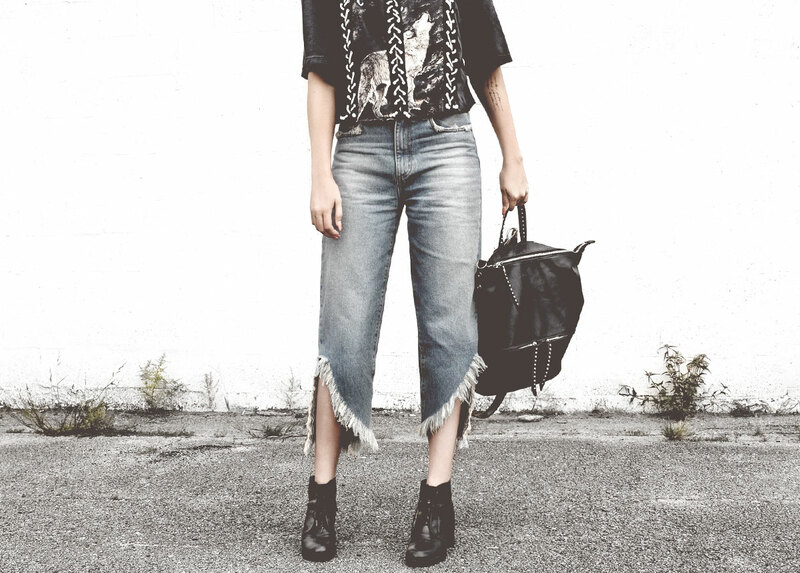 These destructed mom-jeans feature an unusual hemline with overstated frayed edges. As you may know, I could wear denim every day, for the rest of my life. I've been seeing so many different denim silhouettes lately and I'm digging it! 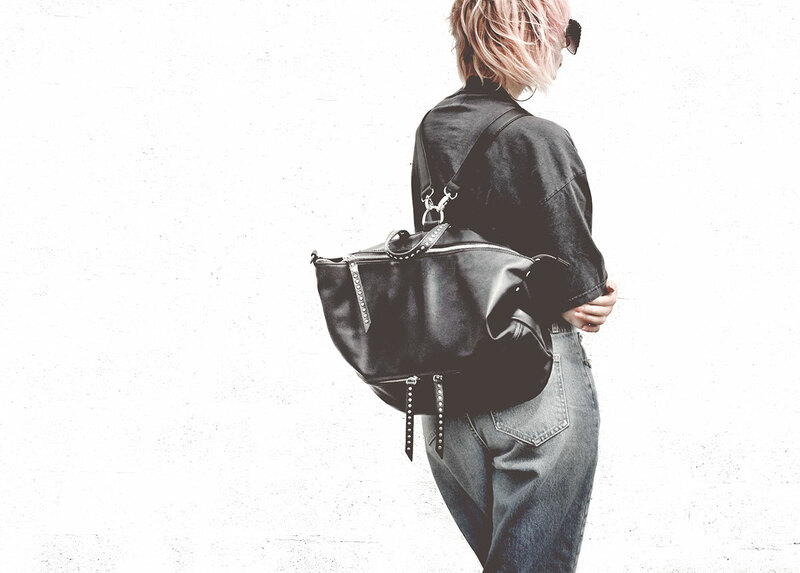 Basically "anything goes" when it comes to denim right now, so the weirder, the better!